Turkey is a big country and when you travel there, it is definitely worth getting yourself a pay as you go plan ASAP, otherwise the roaming will cost you a fortune. Even though Turkey is a huge country it only has three big mobile phone providers, but at least they all offer a pay as you go plan (prepaid). Since the carriers are big companies, they make it real easy for you to top up pay as you go, online and offline. And the best part about is that in Turkey, every time you top up your phone, you get a lot of credit for your money. 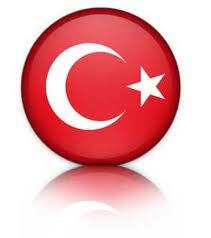 In Turkey the providers seem to offer the credit plan over the credit plan. A rule of thumb is the more you top up, the more credit you will get, hence the unit of credit you top up will become cheaper and cheaper, the more you pay. So it's pretty much the same, as a top up of credit online in Romania. For every TL 30 top up Turkcell grants you 100 kontör (usage units) of credit, which converts to TL 0.30 of top up per credit unit. With Vodafone Turkey you get the most credit per top up, since you get 250 kontör of credit for a TL 24 top up. When you top up TL 50 you will get 100 kontör of credit, which converts to TL.0.30 of top up per credit unit. Traditionally, in Turkey, you will have to top up your pay as you go credit offline. Turkcell on the other hand has expanded its operations to German, and you can top up credit online and offline in Germany. Officially, you can only top up credit for Avea and Vodafone offline. But here again there is the chance to use one of the mobile service providers such as fonmoney.com to top up credit online. Alternatively you can top up with transferto but they don’t seem to have a partnership with Avea and are the more expensive choice (25%-50% per credit top up), where as fonemoney.com only charges between 7.5% and 10% for every prepaid top up of credit. If you want to purchase your pay as you go credit plan you just have to choose one of the three Turkish providers. They have shops all around Turkey, especially in the bigger cities like Istanbul and Ankara, where you also top up, but be aware that each of them has a different coverage density. Especially to top up credit in the countryside can be a challenge, so to top up credit online might be interesting. But all in all you will have no problems buying your pay as you go plan anywhere in Turkey. In Turkey you always need to register your sim, even when you just get a pay as you go (prepaid) plan, hence you will need some identification. The first time you shop for your pay as you go plan in Turkey, you will get some initial credit that you can use up. From there on you will have to top up your pay as you go (prepaid) plan in one of the shops or alternatively just top up credit online with one of the mobile service providers. Keep your eyes open for special offers for more credit, which come and go like the seasons. Note that, in Turkey, your sim pay as you go plan will expire once you didn't top up credit for some time (usually between 6 months and 1 year) and your credit will have to be used up every month. Hence your credit on a pay as you go plan will require a monthly top up. Alternatively you can top up credit and discard it when you don't need it anymore. So make sure you know what you need, how much you are going to make use of your credit while in Turkey, so you know how much credit you need to top up. You will get more credit the more you top up, but only top up credit according to your needs.